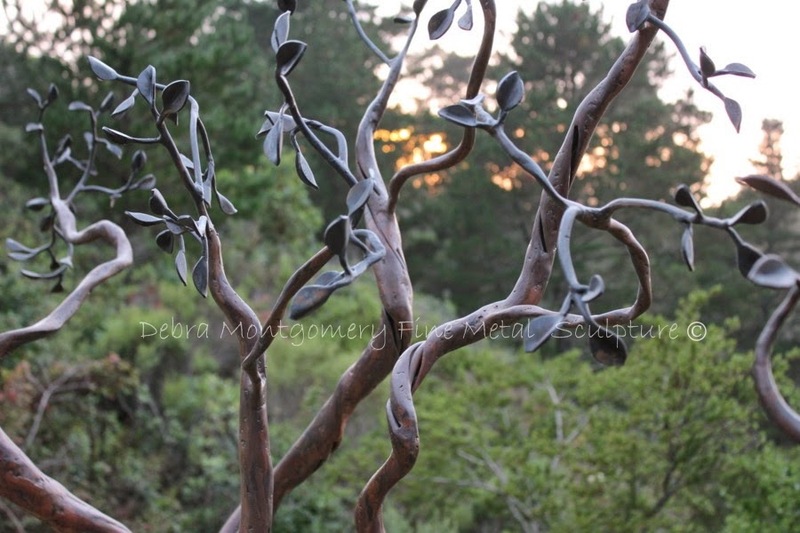 DEBRA MONTGOMERY - FINE METAL SCULPTURE: CHASING & REPOUSSE IN STEEL!!! CHASING & REPOUSSE IN STEEL!!! 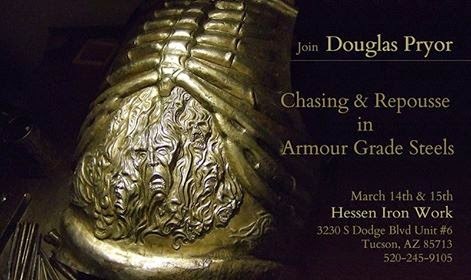 "Come join Douglas Pryor in a two day class where he will show his style of high relief repousse in steel. He has a full range of skills as a sculptor but what sets him apart is that he works his art into fully functional armour grade steels. Douglas’s armour does more than withstand the tests of combat but also enriches the reenactment community’s culture with artwork. He will show the skills needed to work in heavy gauge steels that can also be easily applied in thinner gauge copper or brass projects. This workshop will be on sculpting the human face going through the processes to make your own. In this hands on class Douglas will work with you through all of the steps to create your own design in steel, brass, or copper. The basic material, tools, and needed supplies will be provided for you. Anyone who has basic repousse skills and would like to explore this process is welcome to join this class." This is perfect for my year of growth and art! Through my pitch sales, I have gotten an unexpected opportunity to learn about chasing and repousse in steel and focus on the human face! This will definitely raise the bar for my skills. I have not done any repousse / chasing work in steel to date and I have been wanting to do some figurative work, particularly faces and such. Am very much looking forward to this class!